Trace Riley has been self-appointed guardian of the trail ever since his own wagon was attacked. When he finds the ruins of a wagon train, he offers shelter to survivor Deborah Harkness and the children she saved. Trace and Deborah grow close working to bring justice to the trail, but what will happen when the attackers return to silence the only witness? Miriam steps off the train looking for a job, not a husband. She refuses to be wed, and Gideon is unspeakably embarrassed by the misunderstanding. Stranded in Savage Wells, Miriam has nowhere else to go - and a secret that she's determined to keep from everyone. She has epilepsy, a condition that other doctors had claimed was symptomatic of madness, a diagnosis which prompted her family to have her committed to an asylum. Miriam is afraid that if Dr. MacNamara finds out the truth, he will send her back to the asylum, but Gideon is not like the other doctors she has encountered. Raised by guardians in Philadelphia, the Brinkman sisters have suddenly been bequeathed more than the truth about their late, estranged father - they've also inherited the Five Sisters Ranch, the dynasty he'd built for them in Eden, Colorado. It's theirs on one condition: to claim it, they must live on it for six months - a wilderness worlds away from the comforts of the city. For Belle Brinkman, her father's last wish could fulfill a dream she never knew she had. Many consider Evangeline Hamilton cursed. Orphaned at a young age and possessing a pair of mismatched eyes - one bright blue, the other dark brown - Eva's world constantly rejects her. But Eva has two people she can rely on - Seth and Zach, two former orphans she now counts as brothers. Seeking justice against the man who destroyed his family, Logan Fowler arrives in 1880s Pecan Gap, Texas, to confront Zach Hamilton, the hardened criminal responsible for his father's death. Only instead of finding a solitary ruthless gambler, he discovers a man not much older than himself with an unusual family. Abigail Brantley grew up in affluence and knows exactly how to behave in high society. But when she is cast from the social registers due to her father's illegal dealings, she finds herself forced into a role she never imagined: tutoring rough Kansas ranchers in the subjects of manners and morals so they can "marry up" with their mail-order brides. 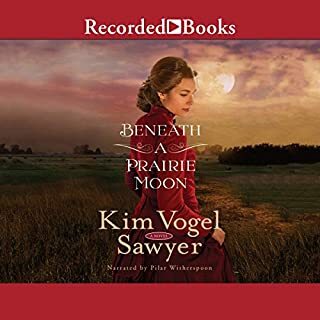 Mack Cleveland, whose father was swindled by a mail-order bride, wants no part of the scheme to bring Eastern women to Spiveyville, Kansas, but as time goes by, his heart goes out to the teacher. Miss Isadora Delafield may be an heiress, but her life is far from carefree. When her mother begins pressuring her to marry an elderly and uncouth duke, she escapes from the high-society world she's always known and finds herself to be an unlikely candidate for a housekeeper position in rural Pennsylvania. Mr. Ian MacKenzie is known for his savvy business sense and has built his reputation and fortune completely on his own merits. But when his adopted parents are in need of a new housekeeper and Isadora is thrown into his path, he's unexpectedly charmed by her unconventional manner. On her way to San Francisco to find her brother, Caleb, who went missing three months ago, Camriann Coulter meets Judith and Kenzie, who both have their own mysteries to solve in the booming West Coast city. The women decide to help each other, including rooming together and working at Kenzie's cousin's chocolate factory. Camri's search for her brother, an attorney, leads her deep into the political corruption of the city - and into the acquaintance of Patrick Murdock, a handsome Irishman who was saved from a false murder charge by Caleb. Eighteen-year-old Laurel Millard, youngest of seven children, is expected to stay home and "take care of Mama" by her older siblings, but Laurel has dreams of starting her own family. Operating a silk loom at the Atlanta Exposition will give her the chance to capture the heart of a man wealthy enough to take care of Laurel and any children she might bear, as well as her mother. Willie Sharp is not well-off and must take on an extra job at the Atlanta Exposition as a security guard. Dax Pelletier is ready to start a new life, far away from the one he left behind in Savannah following the South’s devastating defeat in the Civil War. The ex-Confederate general wants nothing more to do with commanding men and confronting the tough truths of leadership. Rachel Davenport possesses skills unlike those of her Boston socialite peers. 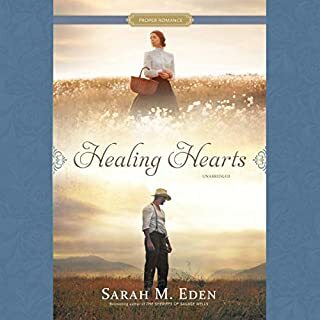 Eschewing her northeastern suitors and forever changed by the violence and death she’s seen, Rachel decides to accept her uncle’s invitation to assist him at his clinic in the wild frontier of Montana. Great Western Romance with a Little Mystery too. Allan Brennan travels to the Curry Hotel to be an apprentice of a seasoned Alaska mountain guide. Ever since his father's death climbing Mt. McKinley, he's worked to earn enough money to make the trek to the Alaska territory himself. His father's partner blames their guide for the death of his father, but Allan wants to find the truth for himself. He finds an unlikely ally in Cassidy, and as the two begin to look into the mystery, they suddenly find that things are much less clear and much more dangerous. Though Magnus MacLeish and Lark MacDougall grew up on the same castle grounds, Magnus is now laird of the great house and the Isle of Kerrera. Lark is but the keeper of his bees and the woman he is hoping will provide a tincture that might help his ailing wife conceive and bear him an heir. But when his wife dies suddenly, Magnus and Lark find themselves caught up in a whirlwind of accusations, expelled from their beloved island, and sold as indentured servants across the Atlantic. Yet it may be that in this New World, the two of them could make a new beginning - together. When their South Carolina home burns to the ground, Anna Stewart's only choice is to move with her younger brother to the wilds of a Texas ranch. 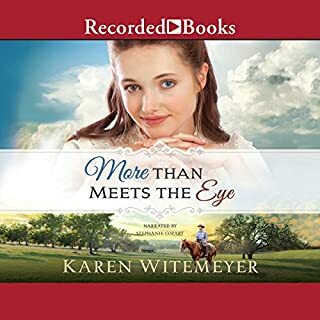 Their prospects are beginning to look better, until the rancher's son, Jacob O'Brien, shows up with his alarmingly blue eyes to put a kink in Anna's well-controlled plans. 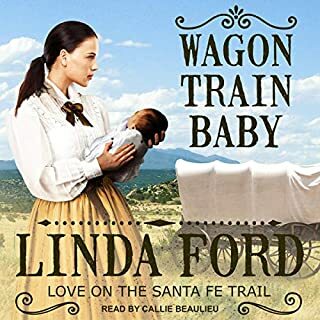 When Luke McCutcheon finds Faith Brown about to give birth in her rickety wagon, his first instincts are to ride for help. Instead, he stays and delivers a beautiful baby girl. 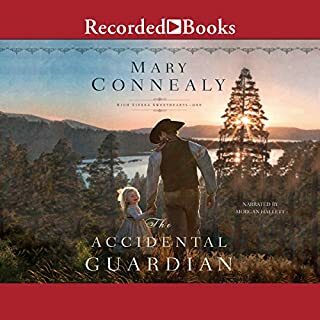 Unable to leave the pretty young widow and her little son and newborn unprotected in the Montana wilderness, he brings them along on his family's cattle drive, to the absolute delight of the other friendly cowboys. 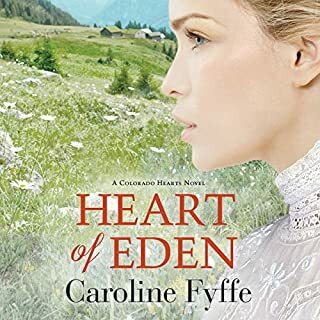 Absolutely loved this book by Caroline Fyffe! After her father's death, Lizzy Brookstone, the star trick rider of the all-female Brookstone Wild West Extravaganza, loses interest in performing. Ella Fleming is fleeing a forced engagement when she stows away on the Brookstone train. Lizzy finds her and gives her a job in the costume department. When Mary Reichert, a former sharpshooter for the show, learns that her brother, August, has been killed at the Fleming farm, she returns to the show to find the truth, As the three women work together to discover how August died, Lizzy strives to hold the show together. A Christian historical romance novel. ©2018 Misty M. Beller Books, Inc. (P)2018 Misty M. Beller Books, Inc. This is the kind of story that tugs at the heart right from the beginning and leads you through a journey of life lessons and love. It is a well written tale of love lost then found again. Truly heartwarming! 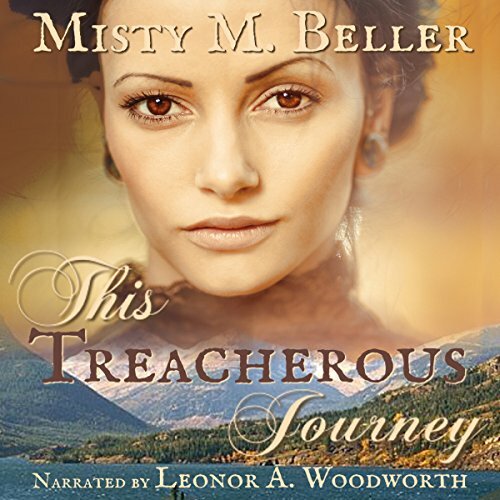 I am looking forward to the next book in this series and hope that Leonor A Woodworth narrates the rest of the series. Her narration is perfect for this type of adventure. I was given a review copy of this audi obook at my request and voluntarily left this review. What a lovely Christian historical story written with such emotions you can feel the sorrow, pain as one woman runs for her life leaving behind a dead husband only taking with her an unborn child and her brother. The author does a great job with detail of showing us how the wilderness is wild and dangerous as the characters have one set back after another. Emma has been through so much losing everything she owns because her husband was not a good man, the towns people feels she must have been in on it when in truth she knew nothing. Her brother takes her on the run trying to outrun the law and the reward on her head. Her brother has a bad fall leaving him unable to take care of her or his self when a strange steps in helping them. They want him to be their guide, there is no way he will take another woman into the wilds, but he is given little choice with one expecting woman and a man who can’t help his self must less his sister. This was a very emotional roller-coaster ride that is well worth your time. A great read with true emotions and faith. Ms. Woodworth’s really brought this story to live for me as she pulled me in using emotion filled with sorrow, anger, hurt and pain along with excitement, danger and thrills. I had no trouble picturing the events as they unfold. Her character voices are wonderful as she held me spellbound from each character that is hiding something. Her tones are right on the mark keeping the listener on the edge waiting for the next shoe to drop. There are no volume changes, no background noise or any repeating of words. If any breaks were taken I could not tell. Her male voices were just as good as her female voices, you have no trouble knowing who is talking and just what they are feeling. Her character voices are just great as well as her normal voice is very pleasant and easy to listen to. The narrator really pulls you into the mystery as the romance unfolds under danger and deceit. You can feel the uneasiness of the characters as they work through the emotions of loss, facing the outcome and the heart break of the past. Ms. Woodworth’s has no trouble pulling of this very emotional listen that captivates you and holds your attention. I really enjoyed this story from the start, the author gives you a wonderful story that is vivid you can picture the details she gives in each scene. My heart went out to Emma taking on a journey of this kind can never be easy but to be carrying an unborn child dealing with all the issues that brings has got to be trying to say the least. The fear of not knowing when someone will catch up with you, taking you back for the reward, wondering if your child will make it to take it first breath and if it does will it have a mother. Joseph story is just as heartbreaking he has lost so much and fears to lose even more as the love grows between him and Emma. I liked the plot, the characters, the mystery and how it all unfolds. The author knows how to pull on your heartstrings pulling you in keeping you hooked from the first page. The ending is wonderful I just about cried. The author gives a wonderful clean read with faith as the base and a growing romance coming in a close second. Simeon Grant lost his wife and children due to bad choices he made by moving them from civilization to the wilderness. Now he lives alone so that his life will not affect anyone else. Emma Malcolm is running from the sins of her dead husband and she needs to get up to Canada where her family can help care for her and her unborn child. Accompanied by her twin brother, the two venture off on their own only to find that they are no match for the wilderness. They are fortunate when they come across Simeon and his willingness to lead them to their destination. These three broken hearts come together on an adventure of a lifetime. Through hardships of wild animals, the elements, and Indians can these three find a joy to replace the heartbreak? Misty wrote a great first book in this series. It is not a western, but a wilderness book with plenty of action, suspense, and clean romance. Leonor is becoming one of my favorite female narrators. Her characters are rich and I love the way she performs both male and female voices. I look forward to book 2! The narrator did a wonderful job with this nook. The characters were easily identifiable and realistic. She emotes very well. I would definitely listen to more by her. This was a beautiful story of faith, love, forgiveness, healing and new discoveries. While faith was most prevalent, the power of love to strengthen, heal, instill bravery and courage won over all. The story was riveting, beautifully written, the characters fully developed, majestic scenery and skillfully narrated. I loved everything about this audible. book and would not hesitate to share it with anyone. Wonderful Story with excellent character development. Excallent naration which makes the whole book a great read. The underlying Christian message was heart warming and encouraging. I cant wait to listen to another. I thoroughly enjoyed this well written Christian romance. I have found a new favorite author! The characters in this story are very well-developed. They undergo a lot of tragedy and dangerous circumstances, but their faith carries them through. They are at times very dependent on each other for their survival. Enduring treacherous times brings them closer together. There is a lot happening in this story. It is fast-paced, but unfolds at a good pace as the characters get to know one another. I really like the author's storytelling and will enjoy reading more of her stories. Tha narration was good, as well, and added to the overall story. Enjoyable yet almost too many events and struggles in one story.